Each box contains 50 packs. Each pack contains 6 cards. Collect and trade a whole flock of the various furious birds and their enemies, those hungry egg-napper pigs! As an added bonus, stick them anywhere! 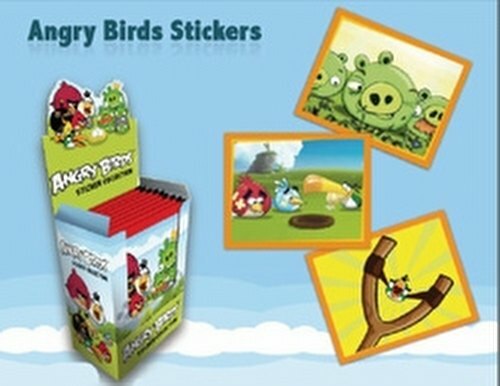 Get to know all of the inhabitants of this world at war - Red Bird, Blue Bird, Black Bird, Small Pigs, Moustache Pigs, Helmet Pigs, and more!